Last month the marketing folks at Samadhi Cushions worked feverishly – and electronically – to let customers know about their efforts to assist the Reciprocity Foundation. 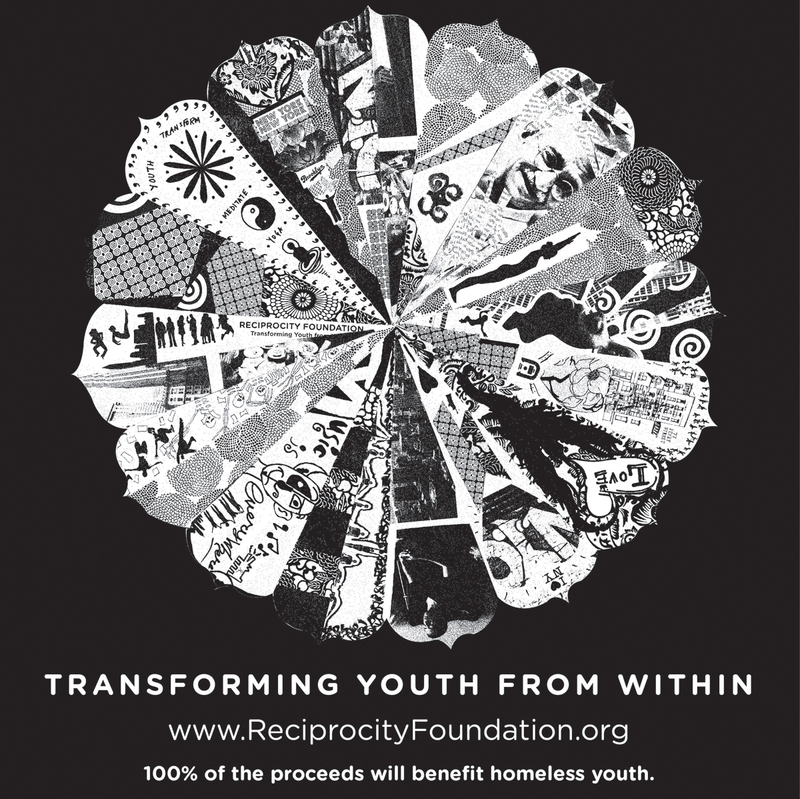 The Reciprocity Foundation is an award-winning non-profit supporting New York City’s homeless and at-risk youth since 2005 – and an organization whose success is rooted in contemplative practice. Samadhi Cushions’ efforts to support the Foundation began last fall when 10% of their revenue for the month of September was donated to support programs for homeless youth. Every time I struggle and feel like I want to do something that was part of my old street life…I go to Reciprocity. They have a very nice meditation room there. I just go there and meditate. 10 minutes can make such a huge difference. Now I know how to make different choices so that I can stay off the streets. I was told by Reciprocity staff that I should come here everyday, sit in the meditation room and breathe. I am not sure what’s happening but my life is getting so much better. I feel like I am leaving some of the old pain behind and slowly getting excited about being alive again. My religious parents told me that they wished that I died because I am gay and that brings shame to our family. They disowned me. But, now I found a new family…my Reciprocity family. I feel loved here and I am working on building a new future for myself. This time, rather than simply make another donation, the youth at Reciprocity inspired Samadhi Cushions to help in a more collaborative way – from Samadhi Cushions’ website. 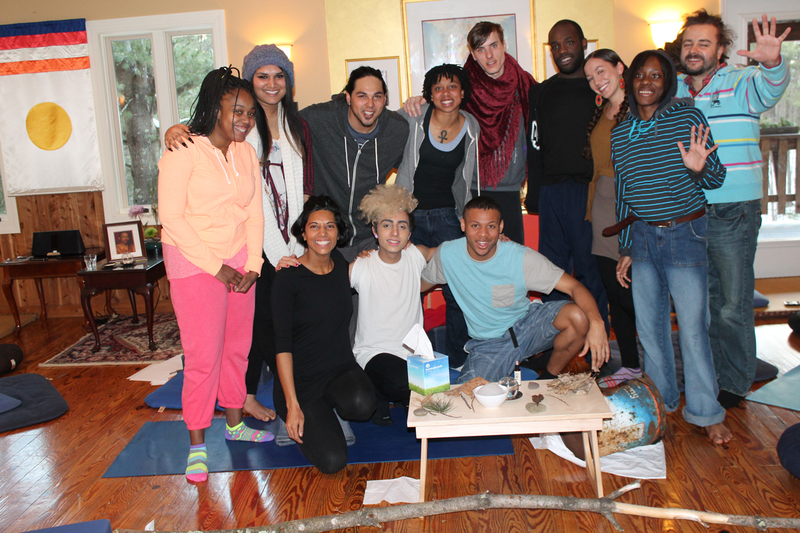 In late 2013, a group of 15 homeless youth gathered at the Reciprocity Foundation’s center in Manhattan with a design challenge: to co-create a Meditation Cushion for homeless youth and for meditators from across the globe. They designed a beautiful Mandala with images, words and drawings that represent the practice of meditation. This stunning Mandala will be silkscreened locally onto soft, high quality cushions from Samadhi and distributed to youth living in homeless shelters in 2014 to encourage them to meditate. During the month of April, for every purchase at their website of $100 or more of meditation cushions or meditation benches, Samadhi Cushions donated a Yoga Support Cushion to Reciprocity. In retreats sponsored by the Reciprocity Foundation, homeless teens will receive a meditation cushion decorated with art designed by the students themselves. Any cushions not given to the teens, will be sold by the Reciprocity Foundation, and 100% of proceeds will benefit homeless youth programming. Samadhi Cushions & Store is a not-for-profit affiliate of Shambhala, now under the guidance of Sakyong Mipham Rinpoche. Our mission is to encourage and support the practice of mindfulness meditation as taught by the Buddha. Proceeds from our sales support the retreatants and facilities at Shambhala Centers, including Karme Choling retreat center (nestled on 600 acres just down the road from the shop) and Shambhala Mountain Center in Colorado.